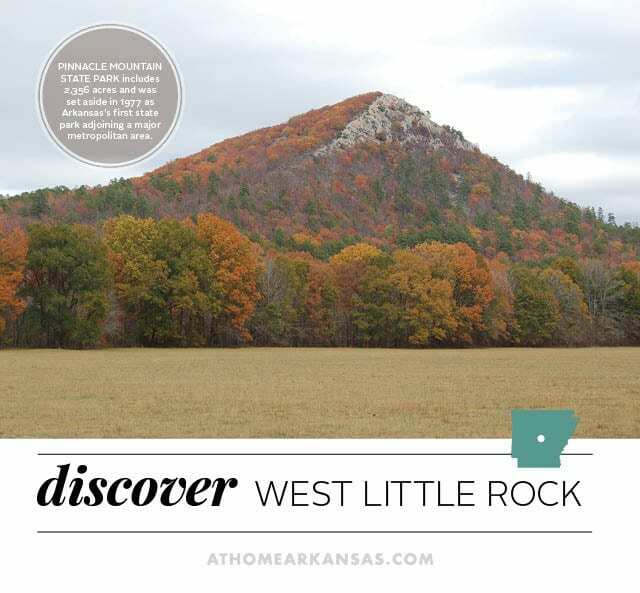 Known for its gorgeous, sprawling homes as much as its commercial offerings, West Little Rock is the perfect place to shop for high-end home design, whether you are building or just need a new look. 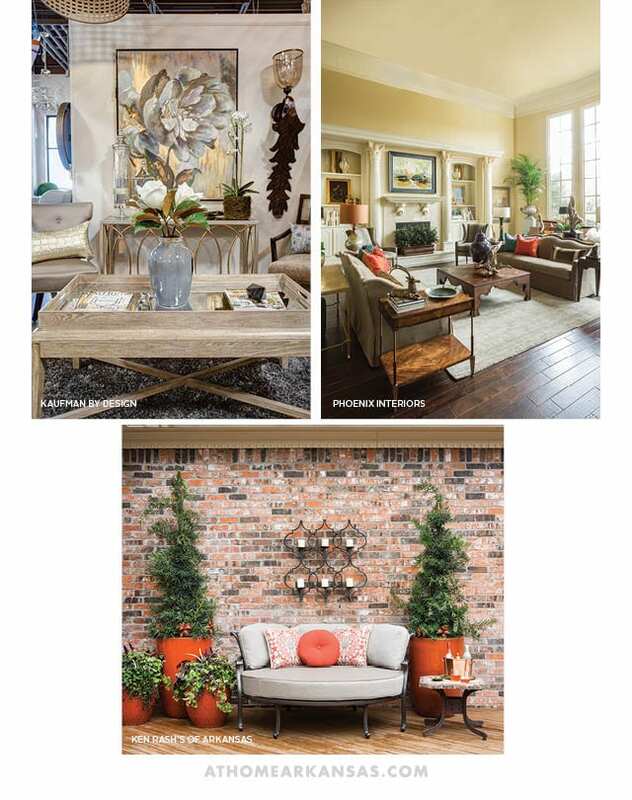 Stop by the 9,000-square-foot showroom at Phoenix Interiors (501-225-0400) and spend an afternoon perusing the furniture, rugs, art and accessories available. The talented staff can answer your design questions or even consult with you on your next home makeover. 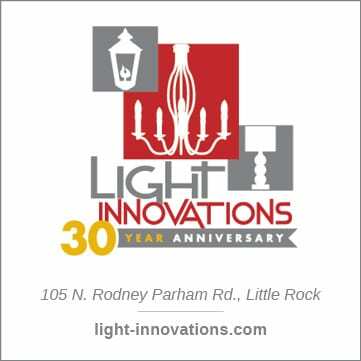 If you’re in the market for lighting, pop into Light Innovations (501-223-9026, light-innovations.com) at the corner of Rodney Parham and Markham to shop their dazzling selection of chandeliers, sconces, and lamps. They have every type of lighting available, either in-store or available to order. From there, head west on Rodney Parham to Ken Rash’s of Arkansas (501-663-1818, kenrashsoutdoorfurniture.com) and shop a large variety of outdoor furniture, accessories, grills, and fire pits. The showroom also includes indoor bar stool options, and the friendly staff is always ready to help. Do you need custom glasswork for a new shower, tabletop or mirror? Call on the experts at West Little Rock Glass (501-223-3034, westlittlerockglass.net) to help with your custom glass needs. If you want to give your home a luxurious makeover, call Shayla Copas Interiors (501-258-7396, shaylacopas.com) to set up a consultation. Shayla can help you with every detail of your home’s design, whether you are building a new home or redesigning an old one. Head west on Highway 10 for an abundance of design shops. 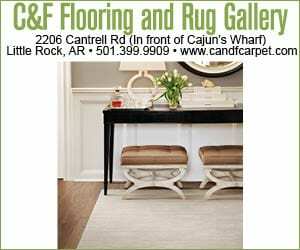 Embellish (501-223-6965, myembellish.com) offers a whimsical array of home goods, including furniture, lamps, and accessories. Owner Alisa Herron is at-the-ready to offer professional interior design services through the Embellish Design Center. Next, stop in at Kaufman by Design West (501-673-3995, kaufmanbydesignwest.com), the retail arm of Kaufman Lumber. From tile and flooring to furniture and lighting, Kaufman by Design offers everything you need for a beautifully designed home. For a final stop along the highway, don’t miss The Good Earth Garden Center (501-868-4666, thegoodearthgarden.com), a one-stop-shop for all your outdoor design needs. Stroll along aisles of beautiful plants in their nursery, or shop outdoor accessories and pottery. Lack a green thumb? Ask about their landscaping and lawn maintenance services.